Banquet Tables Pro 30 x 96 blow molded table that folds in half is lightweight, and easy to transport. Tired of dragging your tables from event to event? This center folding table is the table for you! 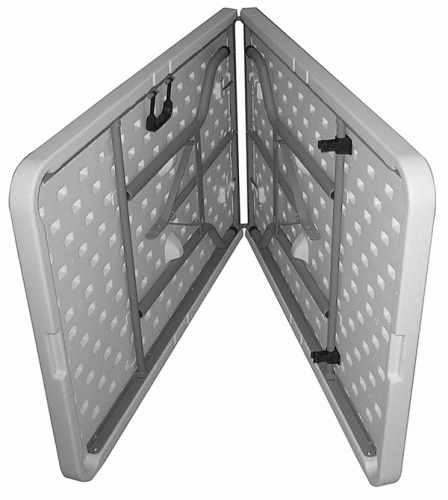 It folds to a 30 x 48" for easy transport. Features a white granite color top, and gray powder coated legs. Folds in Half to 30" x 48" x 4"